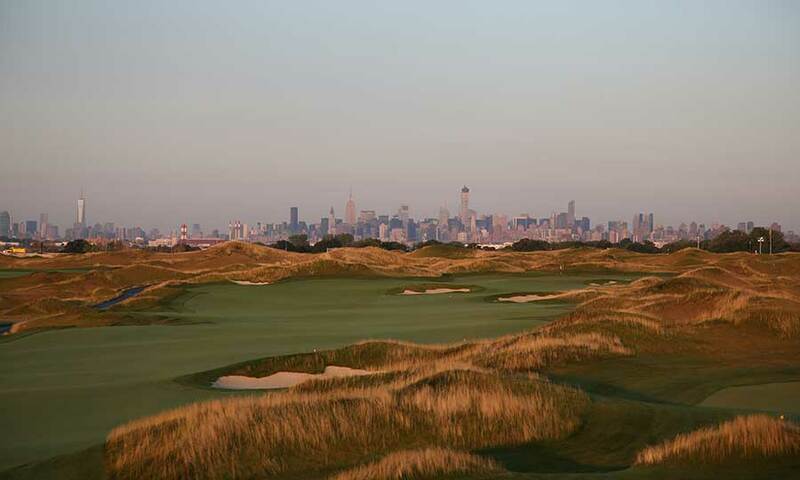 Ferry Point is a new Club, developed over several years and nominally a Trump Club. “TRUMP” the name certainly adorns the area near the clubhouse. I had heard it was nicknamed “Trump’s Dump”, not sure exactly why, but the course looks magnificent and I have heard nothing but good things about it. It’s billed as a public course. 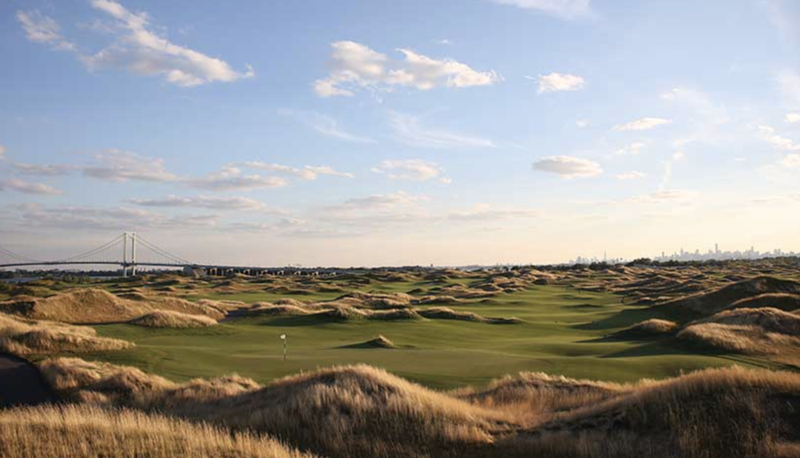 In the heart of the Bronx sits the 18-hole, Jack Nicklaus Signature Design course at Trump Golf Links. 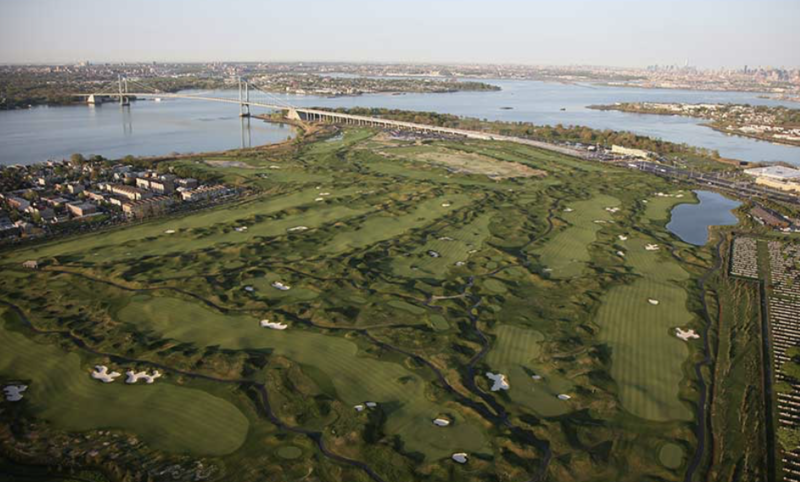 NYC’s only tournament-quality course takes advantage of dramatic and spectacular views of the Manhattan skyline, East River, and Whitestone & Throggs Neck Bridges. It was handcrafted at every angle and exceeds the vision that was outlined by not only Donald Trump, but by Jack Nicklaus, the City of New York and every golf rater that has visited the property since it has grown in. As usual with most things connected to Trump, there is some concern about his role and behavior in the development of the course. This article appeared in the Washington Post in 2016: https://www.washingtonpost.com/news/business/wp/2016/08/25/taxpayers-built-this-new-york-golf-course-trump-reaps-the-rewards/?utm_term=.8b549acaba23. It’s a pretty revealing insight into how Trump managed to get the City to pay out $200m to build a course, have his name on it and offer generous tax breaks while local residents are very unlikely to be able to afford to play the course.